After understanding the full force of Section 6672 of the Internal Revenue Code, a taxpayer may surely see stars like our American friend. Indeed, Internal Revenue Code Section 6672 has far-reaching effects, and it is important that officers and employees understand its implications and subtleties in order to avoid liability for the penalty. In this paper, I will discuss the purpose and scope of this penalty, who is liable, how the section is computed and enforced, and how a taxpayer can protect himself. This distinction of applicable taxes is important in discerning the declared purpose as well as the ulterior effect of this section. The IRS’s stated policy is to use Section 6672 “only as a collection device.” (Footnote 5) However, the threat of this “collection device” is to encourage people to pay the government taxes collected or withheld under the authority of the government. For example, it encourages an employer to pay the federal income taxes or FICA withheld from employees’ paychecks to the government. This purpose is further strengthened by Section 7501(a) which converts the withholding or collecting agent into a trustee. (Footnote 6) In fact, in our example the employer has become a trustee for the taxes withheld that are owed to the government. Thus, the purpose of Section 6672 is to provide the government a potentially far-reaching and sometimes lethal remedy against statutory trustees who breach their fiduciary duty. Once a withholding or collecting agent has been characterized as a trustee, the severity of levying a 100 percent penalty is put into a more rational jurisprudential context. The common law has a replete history of treating wayward trustees harshly. Thus, it can be fairly surmised that this mere statutory collection device is in fact a foreboding deterrent. III. Upon Whom is the Penalty Assessed? The term ‘person,’ as used in this sub-chapter, includes an officer or employee of a corporation, or a member or employee of a partnership, who as such officer or employee, or member is under a duty to perform the act in respect of which the violation occurs. [t]his is too narrow a reading of the section. The term ‘person’ does include officer and employee, but certainly does not exclude all others. Its scope is illustrated rather than qualified by the specific examples. In our judgement the section must be construed to include all those so connected with a corporation as to be responsible for the performance of the act in respect of which the violation occurred. The second element that must be proved before Section 6672 liability will attach is whether the non-payment of the tax was a “willful failure.” Much litigation had centered around defining this term of art. From the case law, it is apparent that a civil standard, not a criminal standard, is to be used. (Footnote 25) In Dillard v. Patterson (Footnote 26), the court stated that “[i]t is not necessary that there be present an intent to defraud or to deprive the United States of the taxes; nor is it necessary that bad motives or wicked design be proved to invoke the provisions of the statute.” So what is needed? All that is needed is a “voluntary, conscious, and intentional act to prefer other creditors of the corporation over the United States[, but] more than mere negligence or accidental conduct is required…” (Footnote 27) Given such a low threshold of proof, the courts have discovered “willfulness” in numerous types of seemingly innocent acts. For example, if it is known that taxes are owed and other creditors are intentionally paid first, willfulness will be found. (Footnote 28) Willful conduct may also be found if there is failure to investigate or to correct mismanagement after having noticed that withholding taxes have not been remitted to the government. (Footnote 29) The advance of personal funds to a corporation to cover specific corporate debts when the responsible person knew the federal withholding taxes were unpaid has been considered “willful.” (Footnote 30) A taxpayer’s attempt to make his employees independent contractors has sufficiently demonstrated “willful.” (Footnote 31) The courts have even concluded that the failure to make monthly deposits as required by Treasury Regulation Section 31.6302(c)-1(a)(1) is sufficient to show willfulness. (Footnote 32) A reading of the cases suggests that “willfulness” is one of the IRS’s easiest elements to prove. Perhaps a discussion of cases where “willfulness” was not found is more instructive. One situation is best described as a “comedy of errors” by the federal government. In this case, the company was experiencing financial difficulties and did not pay its withholding taxes. The reason for its problems was because its largest customer, the United States government, was slow in paying. However, the company did assign its contract rights from the Army to the IRS. Unfortunately, the IRS failed to secure the assignment so that when the company failed the proceeds went to other creditors. The court found that the element of “willfulness” was not met. (Footnote 33) A second case imposed no penalty on the officers when they relied on a bookkeeper who deliberately concealed his dereliction. (Footnote 34) In a more humane instance, no penalty was imposed on a wide who took over the management of a family business when her husband suffered a heart attack. The court found that she lacked knowledge of tax debt and was ignorant of tax law. (Footnote 35) As can be seen from these few cases, “willfulness” will be found unless some extraordinary circumstances excuse the taxpayer for nonpayment. In answer to our question of “upon whom is the penalty assessed?”, we can briefly summarize the major principles. First, the money withheld is treated like a trust fund held on behalf of the United States government. Consequently, in whatever test is applied, the person assessed the penalty will be held to the high fiduciary standards of a trustee. Second, the IRS generally will try to collect the penalty from the corporation first, although it is not required to do so. If it cannot collect the penalty from the corporation, then the IRS will assess the penalty against the person or persons who had a duty to collect and pay over the tax. To show that a person had a duty, the case law refers us to the “responsible person” and the “willful failure” test. To be considered a “responsible person,” the person must have demonstrated some authority, either apparent, implied or express, or a right to exercise control over the financial and tax matters of the company. If no such person can be found, then the Service will look to the President, Secretary and Treasurer of the corporation. Next, the IRS must show that the failure to collect and pay over the tax was “willful.” Since this is not a criminal statute, all the courts require is some demonstration that there was a voluntary, conscious, and intentional act to prefer other creditors of the corporation over the United States. If these two elements are met, then the person is held liable for the 100 percent penalty. IV. How is the Penalty Computed? After reading the statue, one may think that this section of the paper is unneeded since this is probably the simplest calculation of the entire Internal Revenue Code. The amount of the tax (1) evaded, (2) not collected, or (3) not accounted for and paid over. One does not even need a calculator. However, upon closer examination, the computation is a little more involved. It is 100 percent of the tax that the responsible person willfully failed to pay. Thus, a responsible person does not become a guarantor of all the tax owed by a corporation to the IRS. Perhaps the best starting point in this discussion is Slodov v. United States . (Footnote 36) In this case, the taxpayer purchased three companies which at the time owed the government approximately $250,000 in taxes. The sellers represented that sufficient cash was available in the companies’ checking accounts to pay the tax. However, after the sale had been consummated, the buyer/taxpayer discovered otherwise. The Supreme Court held in that where a person acquires a company after the withholding taxes had accrued and company had insufficient funds to pay over the tax at the time of purchase, no liability attaches. In brief, the responsible person did not have a duty when the tax liability accrued. A similar situation arises if a person discontinues employment with a company with an outstanding tax liability. If a responsible person has a duty and then is no longer employed with the company, he will still be held liable for taxes with accrued during his employment. (Footnote 37) However, he would not be responsible for taxes which accrued after his employment terminated since he no longer had a duty to collect and pay over the taxes. The same limitation of liability occurs is a person’s responsibility is reduced or eliminated. For example, in Konduros v. United States (Footnote 38) the court held an officer/comptroller not liable for unpaid taxes for periods after he attempted to pay the taxes. His attempts were countermanded by a corporate director, and after his attempt he was given no control over the disbursement of funds and was excluded from the company’s decision-making process. Thus, a taxpayer who demonstrates that he no longer had a duty cannot be held liable for the penalty. The point of these cases is that a taxpayer may be able to find himself in the ever-elusive situation where he only has to be a “little-bit pregnant.” It is suggested that the assessed taxpayer draw himself a time line and diagram his duties and responsibilities as well as the dates when the taxes accrued. This will enable him to match-up the periods for which he had a duty with the periods for which he will be held liable. 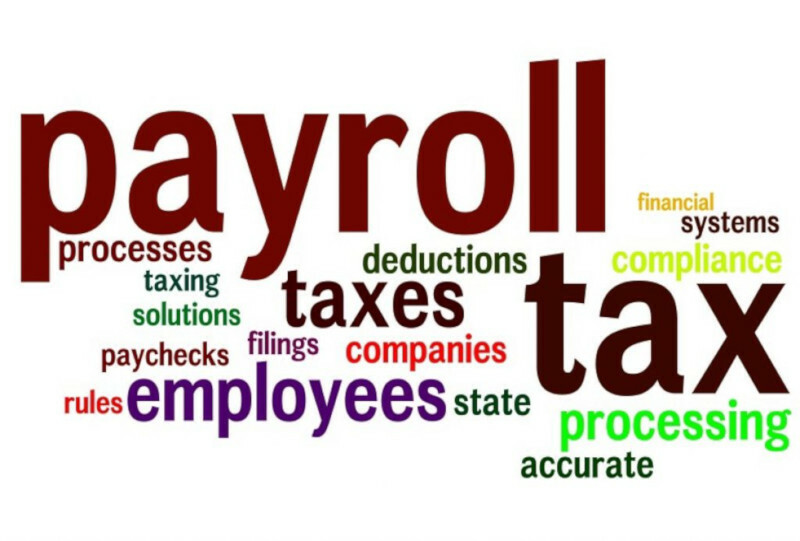 Generally, a Section 6672 penalty is payable when the IRS gives the taxpayer notice and demands payment. (Footnote 39) If the taxpayer disagrees with the Service’s assessment, under Section 6672(b) the taxpayer can challenge the assessment by paying the penalty and then suing for a refund in the District Court or the Court of Claims. (Footnote 40) As mentioned, the first step is to pay at least a minimum amount required to commence a proceeding in court. (Footnote 41) This is generally the tax due for one employee for one quarter. One caveat is to make absolutely sure that the check is designated as payment for this employee for the one quarter. Otherwise, the IRS can allocate the payment any way it decides which is usually in a way that maximizes collections for the IRS and exposure to the taxpayer. The next step is to file a refund with the IRS. (Footnote 42) Then, if the IRS rejects the claim or fails to reject the claim within six months, the taxpayer can then file suit in the local Federal District Court or Claims Court. Typically, the IRS will file an answer to the complaint denying grounds for relief, and counter-claim for all of the tax involved in the dispute. (Footnote 43) From then on, the case is like any other lawsuit. Consequently, once the IRS has the assessment reduced to judgement, they have five years to enforce it, and they can go in and renew the judgement. As an alternative, the statute of limitations is six years from the date of assessment of the Section 6502(a) penalty. (Footnote 44) So, if a taxpayer does not litigate the issue, which will toll the running of the statute of limitations, and the IRS does not get it reduced to judgement, then the taxpayer is no longer liable for the penalty. However, as a practical matter, this should not be used. One senior partner in our firm stated that in his career of over 25 years, first as an Internal Revenue Agent and then as a tax attorney, he has only seen the IRS allow the statute of limitations to expire three times. And, all three times have happened within the last four years. For this strategy to work, the taxpayer should either be prepared to be extremely poor for six years so the IRS will not try to take his property, or find someone to support him in the manner to which he has grown accustomed (i.e. marry someone wealthy). VI. How can a Taxpayer Protect Himself? Since an ounce of prevention is worth a pound of cure, the best protection available is abstinence. Or in legal rather than medical terms, PAY THE TAX! If a company must use deficit financing, stiff your creditors! The company can always declare bankruptcy and get these debts discharged and make the creditors go away, but a Section 6672 100 percent penalty is not dischargeable. (Footnote 45) A simple, yet important tip to follow is to have the company designate on the checks sent to the IRS that it is for payment of the trust fund portion of taxes, interests, or penalties. As long as the payment is voluntary, the payer has the right to indicate how to apply the money to any taxes outstanding. The purpose of this tactic is that if the company is delinquent in paying its taxes, the employees’ portion of the taxes, interest, and penalties will not be assessed against any responsible persons. However, as discussed in the next section, a Section 6672 penalty will survive both the company’s and the responsible person’s bankruptcy. So by this method, and funds available to be paid by the company should go to the tax liability which is the hardest to discharge. Another means of protection is to not be an officer, employee, or a “responsible person” no matter what your ego tells you. For once it pays to be irresponsible. However, this course of action may be too extreme. So what about the rest of us who want or need to work? A less drastic alternative must exist. It does. As a general rule, unless one can affect the tax and financial policies of the corporation in such a way that one can see to it that the taxes are collected and paid over, do not demonstrate or exercise any authority. This means that one should not sign any checks, especially payroll checks, or tax returns, quarterly reports, financial statements, and the like. These things should particularly not be done if the only reason for doing so is for the convenience of the company. The few times that it proves to be inconvenient will probably cost a lot less than any withholding tax penalty assessed. It is important to remember that once the IRS has made the assessment, it is presumed correct and the burden of proof shifts to the taxpayer. (Footnote 46) So, the taxpayer may be right, but the cost of litigating the issue “all the way to the Supreme Court” to prove he is right may be prohibitive. If the taxpayer does decide to litigate the penalty it is important to remember the harsh rules concerning indemnity and contribution. The liability under Section 6672 is joint and several among all responsible persons. (Footnote 47) Also, there exists no federal common law right of contribution or indemnification between responsible persons for the nonpayment of withheld taxes assessed against a responsible person under Section 6672. (Footnote 48) The judicial reasoning for this policy rests on the fact that the conduct is a willful breach of a trustee’s duty, and it maximizes the IRS’s ability to collect. So, if the taxpayer loses he can expect that the IRS will look to him for full payment. At best, bankruptcy will have very little effect on the assessment and collection of a Section 6672 100 percent penalty. However, in analyzing this issue it is important to distinguish between the bankruptcy proceedings of the company and of a responsible person. Since the taxes owed the government are considered as being held in trust, this debt is not dischargeable under any Chapter of bankruptcy. However in 1990, the Supreme Court offered a small ray of hope in United States v. Energy Resources Co., Inc., et al. (Footnote 49) The Court decided that where it is essential to the success of a Chapter 11 reorganization plan, the Bankruptcy Court has the authority to order the IRS to apply tax payments made by the debtor corporation to I.R.C. Section 7501 trust fund obligations before other tax liabilities even if the payment is considered involuntary. The Court’s justification for this decision is that if the reorganization plan works, the IRS will be able to collect the taxes due from the corporation; if it does not work, the IRS will be able to collect from the responsible persons. At first glance, one may wonder why the designation of payments is such a point of contention of the amounts are not dischargeable. As is often the case, the debtor corporation is frequently delinquent on other taxes as well. So, when the IRS receives “involuntary” payments, their policy is to apply the monies in such a way as to maximize their collection efforts. The result is that the dischargeable taxes are paid off first. The debtor corporation is left with a claim consisting primarily of non-dischargeable taxes, interest and penalties, and the responsible persons are also still at risk under Section 6672. The IRS was not pleased with the Energy Resources decision, and they have fought its progeny every step of the way. Such vigorous litigation has resulted in some useful guidelines. First, the Energy Resource doctrine has been limited to only Chapter 11 reorganization plans. Subsequent courts which have considered the matter have refused to expand it to cases involving Chapter 7 (Footnote 50), Chapter 13 (Footnote 51), and Chapter 11 liquidation plans. (Footnote 52) Secondly, a Chapter 11 reorganization plan does not automatically qualify a debtor for Energy Resources treatment. The reorganization plan must provide for (1) full payment of all federal tax liability (trust fund and non-trust fund); (2) within 6 years; and (3) the designation must be necessary for the success of the company. Once these qualifications are met, then a bankruptcy court may consider such treatment. Although such a designation may be helpful to a debtor corporation, it does nothing for a “responsible person.” In many instances, the ever-persistent IRS will counter Energy Resources by merely accelerating assessment and collection of the Section 6672 against responsible persons. Some authority exists for allowing bankruptcy courts to rely upon their broad equitable powers and issue an injunction against the IRS under 11 U.S.C. Section 105. Such action is wholly consistent with the Energy Resources policy of “necessary for the successful reorganization of the company.” It just depends on if it can pass the “smell test.” Overall, bankruptcy has little effect upon a Section 6672 100 percent penalty. Since it is considered a trust fund, the penalty cannot be discharged. However, under the right circumstances a bankruptcy court could provide some breathing room for a corporation and its responsible persons by designating how payments by a debtor corporation are applied and issuing an injunction against the IRS from pursuing collection from the responsible persons. VIII. Help Me! Help Me! Can Anybody Help Me?! As our Dutch and American friends might cry, “Can anybody help me?” No, not a chance. This is one area of the law where the standards for assessment and burdens of proof are fairly well-settled and clear. Thus, an assessment can be made by the IRS rather cavalierly, and the taxpayer then bears the burden and expense of refuting the IRS’s assertion. So, as courts have pointed-out time and again, if you do not like the rules of the game, get the legislative branch to change them. But change them to what? One possible change would be similar to New York’s Section 630 of its Business Corporation title. (Footnote 53) This section holds the 10 largest share-holders liable for wages due to laborers, servants and employees. Since the shareholders are the owners of the company, they have the right to control the management of the company. So, it would be in their self-interest to see that the tax is paid. Although imperfect, the use of an arbitrary number, such as 10, would provide a bright-line test for assessing the penalty. This would greatly ease the determination of who would be liable so that more effective planning for inadvertent assessments could occur. Another statutory alternative would be to raise the burden of proof the IRS must meet before someone is considered a “responsible person” or “willfully failed” to pay over the tax. This would protect people who have the check-signing authority merely for the convenience of the company. Perhaps the most palatable option to both the IRS and the taxpayer would be the establishment of an administrative proceeding with the right to appeal. This would make it more economical for taxpayers to challenge the IRS’s assessment of the penalty and provide a quicker resolution of the issue. The use of such an adversarial proceeding is common-place in other specialized areas such as Worker’s Compensation, Social Security benefits, and Aid to families with Dependent Children. Why use precious judicial resources to decide a relatively straightforward question of fact? These are but a few of the many possibilities that could be implemented to protect an individual from the eagerness of the IRS in its assessment and collection of the Section 6672 100 percent penalty. Perhaps the only advantage of death over taxes, is that death does not get worse every time Congress meets. (Footnote 54) This is surely true with the Section 6672 100 percent penalty. If one should find oneself in a failing company and can do anything about it, make sure that the trust fund withholding taxes are properly designated and paid. Otherwise, one may become the proverbial “fly in the ointment” with no means of escape. When it comes to withheld trust funds, the IRS is given great latitude and power to protect the revenue of the federal government. And, in their eagerness, the IRS can cause you, like our American friend, to see stars, lots of stars! Jacob M. Braude, “Complete Speaker’s and Toastmaster’s Library: Human Interest Stories,” p. 101 (1965). I.R.C. § 6672, Reg. § 301.6672-1. In re Serignese , 214 F.Supp. 917, 11 AFTR 2d 1451, (D. Conn. 1963), aff’d without discussion of this point sub nom. Goring, Jr. v. United States , 330 F.2d 960, 13 AFTR 2d 1386, (2nd 1964). IRS policy statement, P-5-60, IR Manual, MT 1218-56 (2-25-76). IRS policy statement, P-5-60 Manual, MT 1218-56 (2-25-76). Johnson v. United States , 565 F.Supp. 253, 51 AFTR 2d 83-916 (S.D. Texas 1983). United States v. Strebler , 313 F.2d 402, 11 AFTR 2d 792 (8th Cir 1963). United States v. Strebler , 313 F.2d 402, 11 AFTR 2d 192 (8th Cir 1963); Schweitzer v. United States , 193 F.Supp 309, 7 AFTR 2d 821 (D. Neb. 1961); Melillo v. United States , 244 F.Supp 323, 15 AFTR 2d 1229 (E.D. N.Y. 1965). United States v. Strebler , 313 F.2d 402, 11 AFTR 2d 192 (8th Cir 1963); Horwitz v. United States , 339 F.2d 877, 15 AFTR 2d 053 (2nd 1965); Schweitzer v. United States , 193 F.Supp 309, 7 AFTR 2d 821 (D. Neb. 1961). Restatement (Second) of Agency § 8 Apparent Authority. See also Restatement (Second) of Agency §§ 1 Agency; Principal; Agent; 7 Authority; 15 Manifestations of Consent. United States v. Graham , 30-9 F.2d 210, 10 AFTR 2d 5897 (9th Cir. 1962); Horwitz v. United States , 339 F.2d 877, 15 AFTR 2d 053 (2nd Cir. 1965); Bloom v. United States , 272 F.2d 215, 4 AFTR 2d 5868 (9th Cir. 1960); cert. den. 363 U.S. 803 (1963); Melillo v. United States , 244 F.Supp 323, 15 AFTR 2d 1229 (E.D. N.Y. 1965); Tiffany v. United States , 228 F.Supp. 700, 13 AFTR 2d 1546 (D. N.J. 1963). United States v. Graham , 30-9 F.2d 210, 10 AFTR 2d 5807 (9th Cir. 1962); Frazier v. United States , 304 F.2d 528, 9 AFTR 2d 1743 (5th Cir. 1962); Schere v. United States , 228 F.Supp 168, 13 AFTR 2d 790 (D. Idaho 1963). United States v. Graham , 30-9 F.2d 210, 10 AFTR 2d 5087 (9th Cir. 1962). Colby v. Klune et al. , 178 F.2d 872, 873 (2nd Cir. 1949). Similar reasoning has been used by the courts in several other areas such as Worker’s Compensation ( E. Clemens Horst Co. v. Industrial Accident Commission, et al. , 193 P. 105 (Cal. 1920); California Shipbuilding Corporation v. Industrial Accident Commission, et al. , 149 P.2d 432 (Cal. Distr. Ct. App. 1944)) and Chattel Mortgages ( American Soda Fountain Co. v. Stolzenbach , 68 A. 1078 (N.J. 1908)). Hair v. United States , 13 AFTR 2d 643 (S.D. Calif. December 10, 1963). Bank of Commerce of Houston v. Phinney , 16 AFTR 2d 5579 (S.D. Texas 1965); Larson v. United States , 340 F.Supp. 1197, 29 AFTR 2d 1111 (E.D. Wis. 1972); First American Bank & Trust Co. v. United States , 43 AFTR 2d 79-739 (W.D. Okla. 1979); Commonwealth Nat. Bk. of Dallas et al. v. United States, et al. , 665 F.2d 743, 49 AFTR 2d 82-647 (5th Cir. 1982); Merchants Nat. Bank of Mobile v. United States , 878 F.2d 1382, 64 AFTR 2d 89-5547 (11th Cir. 1989); United States v. North Side Deposit Bank , 569 F.Supp. 948, 52 AFTR 2d 83-5493 (D. Pa. 1983). In re Quattrone Accountants, Inc. , 88 B.R. 713, 62 AFTR 2d 88-5280 (W.D. Pa. 1988). Walker v. United States , 21 AFTR 2d 1398 (W.D. Okla. 1968); Causey v. United States , 683 F.Supp. 1381, 62 AFTR 2d 88-5464 (M.D. Ga. 1988). Pacific Nat. Ins. Co. v. United States , 422 F.2d 26, 25 AFTR 2d 70-714 (9th Cir. 1970); cert. den. June 1, 1970, aff’g 270 F.Supp. 165, 20 AFTR 2d 5189 (N.D. Calif. 1967); Anderson v. United States , 561 F. 2d 162, 40 AFTR 2d 77-5642 (8th Cir. 1977), aff’g 36 AFTR 2d 75-5603 (D. Minn 1975). Regan & Co., Inc. v. United States , 290 F.Supp. 470, 22 AFTR 2d 5257 (E.D. N.Y. 1968). United States v. Industrial Crane & Mfg. Corp. , 492 F.2d 772, 33 AFTR 2d 74-1039 (5th Cir. 1974), aff’g in part and rev’g in part United States v. Quarles , 32 AFTR 2d 73-5056 (N.D. Ala. 1973); Caterino v. United States , 794 F.2d 1, 57 AFTR 2d 86-5158 (1st Cir. 1986), cert. den. 480 U.S. 905, 107 S.Ct. 1347, 94 L.Ed.2d 518 (1987). Bloom v. United States , 272 F.2d 215, 4 AFTR 2d 5868 (9th Cir. 1960); Frazier v. United States , 304 F.2d 528, 9 AFTR 2d 1743 (5th Cir. 1962); Paddock Tr. et al. v. Siemoneit et al. , 218 S.W.2d 428, 38 AFTR 1173 (Texas 1949); rev’g on this point 214 S.W.2d 651, 38 AFTR 1164 (Tex. Civ. App. 1948); Moore v. United States , 59 AFTR 2d 87-908 (S.D. W. Va. 1987). Dillard v Patterson , 326 F.2d 302, 304, 13 AFTR 2d 301, 303 (5th Cir. 1964). Gold v. United States , 506 F.Supp. 473, 47 AFTR 2d 81-878 (E.D. N.Y. 1981). Kubinski v. United States , 285 F.Supp. 849, 21 AFTR 1197 (D. Minn. 1968); Krueger v. United States , 326 F.Supp. 231, 27 AFTR 2d 71-947 (E.D. Wis. 1971); Miller v. United States , 33 AFTR 2d 74-1007 (M.D. Fla. 1974); United States v. Bierbrauer , 59 AFTR 2d 87-1146 (D. Minn. 1987). Kalb v. United States , 505 F.2d 506, 34 AFTR 2d 74-6104 (2nd Cir. 1974); United States v. Leuschner , 336 F.2d 246, 14 AFTR 2d 5599 (9th Cir. 1964); Dougherty v. United States , 327 F.Supp. 202 (D. S.D. 1971), 27 AFTR 2d 71-1478, aff’d without opinion 471 F.2d 656 (9th Cir. 1972). Sorenson v. United States , 521 F.2d 325, 36 AFTR 2d 75-5659 (9th Cir. 1976). Polk v. United States , 550 F.2d 566, 39 AFTR 2d 77-1221, 77-1 USTC ¶ 9335 (9th Cir. 1977). Barnett v. United States , 594 F.2d 219, 43 AFTR 2d 79-1011 (9th Cir. 1979); Sherwood v. United States , 246 F. Supp. 502, 16 AFTR 2d 5422 (E.D. N.Y. 1965); Brown v. United States , 591 F. 2d 1136 (5th Cir. 1979). John B. Mangieri v. United States , 657 F.Supp. 726, 59 AFTR 87-479, 86-2 USTC ¶ 9824 (D. Md. 1986). Belcher v. United States , 6 AFTR 2d 5495 (W.D. Va. 1960). Busey v. United States , 64 AFTR 2d 89-5471 (D. Idaho 1989). Slodov v. United States , 436 U.S. 238, 98 S.Ct. 1795, 56 L.Ed. 251, 42 AFTR 2d 78-5011. Ackerman v. United States , 56 AFTR 2d 85-5069 (C.D. Calif. 1985), 85-1 USTC ¶ 9378. Konduros v. United States , 57 AFTR 2d 86-619 (E.D. Mich. 1983). Rosner v. McGinnes , 167 F.Supp. 44, 2 AFTR 2d 5673, 58-2 USTC ¶ 9814 (E.D. Pa. 1958). See VII. The Effect of Bankruptcy, Page 7. Avco Delta Corp. v. United States , 540 F.2d 258 (7th Cir. 1976) cert. den. sub nom. Canadian Parkhill Pipe String, Ltd. , 429 U.S. 1040 (1977); Collins v. United States , 848 F.2d 740 (6th Cir. 1988); United States v. Galtrof , 245 F.Supp. 158, 16 AFTR 2d 5093 (S.D. N.Y. 1965); United States v. Bartone , 41 AFTR 2d 78-520 (N.D. Ohio 1977); United States v. Sefansky , 16 AFTR 2d 5640 (E.D. Mich. 1965); Niehay v. United States , 22 AFTR 2d 5914 (D. Wyo. 1968); Farris, Jr. v. United States , 4 Ct. Cl. 633, 53 AFTR 2d 84-1075 (1984); Calderone v. United States , 799 F.2d 254, 58 AFTR 2d 86-5703 (6th Cir. 1986). Hanshaw v. United States , 59 AFTR 87-908, 87-1 USTC ¶ 9248 (S.D. W.Va 1987). Continental Illinois National Bank and Trust Company of Chicago v. United States , 60 AFTR 2d 87-5163, 87-2 USTC ¶ 9442 (N.D. Ill. 1987); Cohen v. United States , 35 AFTR 2d 75-1445 (E.D. Mich. 1975); DiBenedetto v. United States , 35 AFTR 2d 75-1502 (D.R.I. 1974); Cantlon, Jr. v. Ernce , 37 AFTR 2d 76-1238 (N.D. Texas 1975); Geiger v. United States, et al. , 41 AFTR 2d 78-1230 (D.Md. 1978); Hanhauser v. United States , 45 AFTR 2d 80-471 (M.D. Pa. 1979); McGlothin v. United States , 720 F.2d 6, 52 AFTR 2d 83-6252 (6th Cir. 1983); aff’g sub nom. Garity v. United States , 46 AFTR 2d 81-5143 (6th Cir. 1981); Sinder v. United States , 655 F.2d 729, 48 AFTR 2d 81-5706 (6th Cir. 1981); Rice v. Pearce , 52 AFTR 2d 83-6129 (S.D. Iowa 1983); Rebelle, III et al. v. United States , 588 F.Supp. 49, 54 AFTR 2d 84-5699 (M.D. La. 1984). United States v. Energy Resources Co., Inc. et al. , 495 U.S. 345, 110 S.Ct. 2139, 109 L.Ed.2d 580, 65 AFTR 2d 90-1078 (1990), aff’g 871 F.2d 223 (1st Cir. 1989), 63 AFTR 2d 89-1010, aff’g 60 AFTR 2d 87-6099 (D. Mass 1987). In re Optics of Kansas, Inc. , 132 B.R. 446 (Bankr. Kan. 1991). In re Bates , 974 F.2d 1234 (10th Cir. 1992); In re Lambert , 124 B.R. 345 (Bankr. W.D. Okl. 1991). In re Kare Kemical, Inc. , 935 F.2d 243, 60 USLW 2106, 68 A.F.T.R.2d 91-5188; 91-2 USTC ¶50,389 (11th Cir. 1991); Equipment Fabricators, Inc., 127 B.R. 854, 91-1 USTC ¶50,097 (D.C. Ariz. 1991). N.Y. Bus. Corp. Law § 630 (McKinney 1990). Jacob M. Braude, “Complete Speaker’s and Toastmaster’s Library: Business and Professional Poinmakers,” p. 108 (1965). This article was previously published in the Oklahoma Bar Journal , Volume 65, Number 37, pages 3139-3148.